The conversion journey is a series of steps that a visitor needs to complete to be able to achieve whatever goal you are trying to get customers to achieve on your site. This will begin with what brought them to your site (e.g. 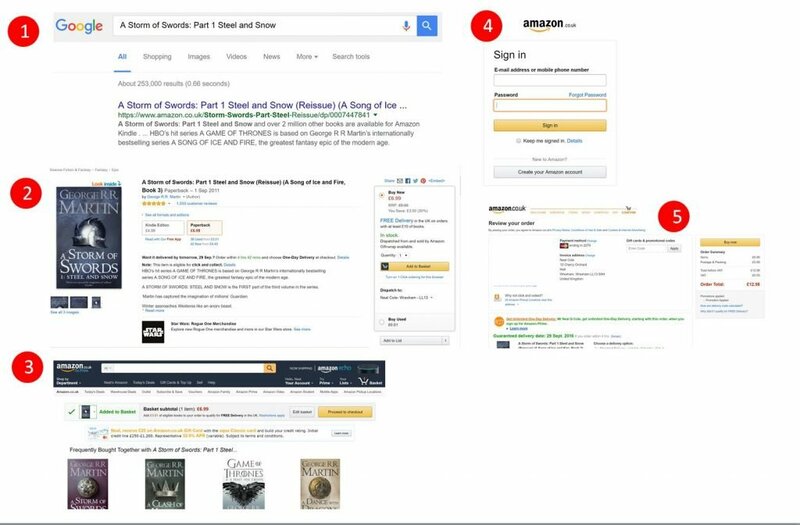 organic search) and end with the conversion goal (e.g. registration, download or transaction). A conversion journey will have multiple variations as customers frequently don’t take the shortest route (see happy path) to conversion and allowance must now be made for the type of device they are using. You should consider how to personalise the conversion journey according to the acquisition channel. Customer journey analysis can help you identify potential reasons why customers don’t complete your conversion goal and allow you to develop branch paths for users who take detours during the journey. Customer journey analysis – How to use buyer personas to improve conversions.